By clicking on any of the links below you will be leaving the Chinnor U3A web site. Chinnor & District U3A do not accept any responsibility for the content of these sites. A useful site that gives alternative standard rate phone numbers to those wretched 0870/0845 phone numbers that charge you to hold in a queue. Princes Risborough & District U3A was formed in 2001. It was the initiative of James Scott-Smith ably aided by Michael George and Geoff Young. Michael George was elected the first Chairman of Princes Risborough U3A with James Scott-Smith, Anne Legg and Peter Wotton becoming Secretary, Membership Secretary and Treasurer. 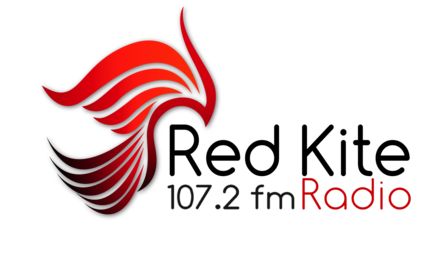 Radio for Thame, Haddenham & the surrounding villages. Advertise local events through their Voicebox for free. There are approximately 180 U3As in the SE Region and currently 9 Networks consisting of Kent, NE Hants/SW Surrey, New Forest, Southampton, Surrey, Sussex (SUN), Thames Valley, South Central Network, Forest of Bere Network and also the SE Region Forum (comprising Surrey, Kent & Sussex Networks)which runs the Summer School at Chichester. Our latest U3A is Faversham in Kent. This site is the hub of information for the South East U3A Region. Internetwork was set up in December 1997 to encourage the use of the Internet for more effective communications and learning for U3A members in the UK. The parent body for U3A Groups around the United Kingdom. Wendover U3A has been established for over fifteen years and is a thriving organisation which currently has over fifty different Study Groups meeting regularly in venues within the Wendover area. Input and support from members is always welcome and appreciated as it is this which makes Wendover such a flourishing and popular U3A. The World U3A is a free Internet service - not a membership organisation - and our online projects are available to all U3A groups or kindred organisations worldwide. They have a monthly newsletter which can be read on line and be subscribed to.